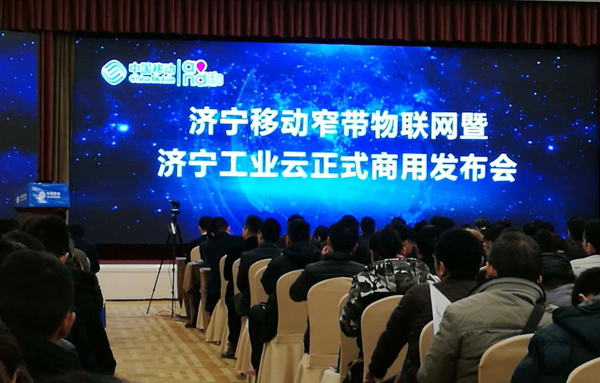 Summary: On the morning of February 2, Jining Mobile held "NB-IoT" and Jining Industrial Cloud official business conference to announce the Narrowband Internet of Things (NB-IoT) was officially use, which will take us into the science and technology life of future, a new generation of Internet of Things in Jining comprehensive commercial application. Jining City government party members, Deputy Vice-mayor Zhang Shengming, City Economic and Information Party Secretary, Director Zhou Guangquan, Municipal Bureau of communications Party Committee Secretary, Director Song Ke, Municipal SME Bureau Party Secretary, Director Du Hongchun , City Economic and Information Committee Researcher Wang Youbing, Commerce Bureau Party Committee members and CCPIT Chairman Zhang Gongqian and other leaders attended the conference, China Transport Executive Deputy General Manager Han Yong was invited to the conference. 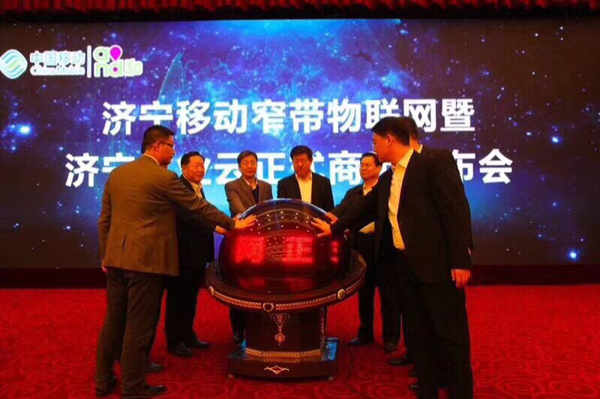 On the morning of February 2, Jining Mobile held "NB-IoT" and Jining Industrial Cloud official business conference to announce the Narrowband Internet of Things (NB-IoT) was officially use, which will take us into the science and technology life of future, a new generation of Internet of Things in Jining comprehensive commercial application. Jining City government party members, Deputy Vice-mayor Zhang Shengming, City Economic and Information Party Secretary, Director Zhou Guangquan, Municipal Bureau of communications Party Committee Secretary, Director Song Ke, Municipal SME Bureau Party Secretary, Director Du Hongchun , City Economic and Information Committee Researcher Wang Youbing, Commerce Bureau Party Committee members and CCPIT Chairman Zhang Gongqian and other leaders attended the conference, China Transport Executive Deputy General Manager Han Yong was invited to the conference. The report of the 19th National Congress of the CPC pointed out: we must adhere to the concept of new development and promote the simultaneous development of new industrialization, informationization, urbanization and agricultural modernization. Promoting the in-depth integration of the Internet, Big Data, Artificial Intelligence and Real Economy, and strengthen infrastructure network construction such as information and logistics Network; build strong network country, digital China, smart society. It is reported that at present, Shandong Mobile has deployed more than 10,000 narrowband IoT base stations across the province and built the largest provincial-level narrowband IoT network in China Mobile. It has been widely used in such fields as smart meter reading, street lamps, manhole covers, parking, household appliances, transportation and agriculture, lead into the era of intelligent connections. In recent years, China Transport actively responded to the national policy, bold pioneering and innovative, successfully transformed from the traditional sales model into a modern e-commerce marketing model and became the industry model for the successful transformation of traditional enterprises through the promotion of e-commerce information industry across the province and the whole country. China Transport has set up an e-commerce sales team and has now developed into an e-commerce team of 36 professional companies. Its ZHONG MEI brand products are sold well in 151 countries and regions, customers reaching 480,000 worldwide. The Group has independently developed and operated six major business services platforms including 1kuang.net,zgwlwlw.com, zgnongke.com, www.cccjyw.com, 1youw.com, haitaomingpin.com, of which 1kuang.net as the world leader and first domestic cross-border industrial and mining machinery B2B business platform to fill the blank of domestic and foreign mining machinery industry e-commerce service platform, greatly driven the entire industrial and mining machinery industry marketing model of innovation and change. 1kuang.net Project Has Been Rated As The National Ministry Of Industry Cross-Border E-Commerce Pilot Project Of Innovation And Integration Ministry Of Industry Cross-Border E-Commerce Key Support Project, China's Innovation And Merging Practice Award, Key E-Commerce Platform In Shandong Province, made outstanding contributions to the innovation and development on promoting national industrial electricity supplier! In the meantime, our group actively responded to the call of the nation for"mass entrepreneurship and innovation", accelerating the conversion of old and new kinetic energy, speeding up the integration of manufacturing industry and the Internet, and actively promoting industrial restructuring and upgrading. The Group gradually turned to intelligent robots, new agricultural machinery, and high-tech unmanned diversification and hi-tech development of modern medical equipment, high-end rescue equipment, new environmental protection equipment and electric power equipment, and become the model of the industry that boosts the transformation and development of enterprises through the integration of Informatization and industrialization in China. 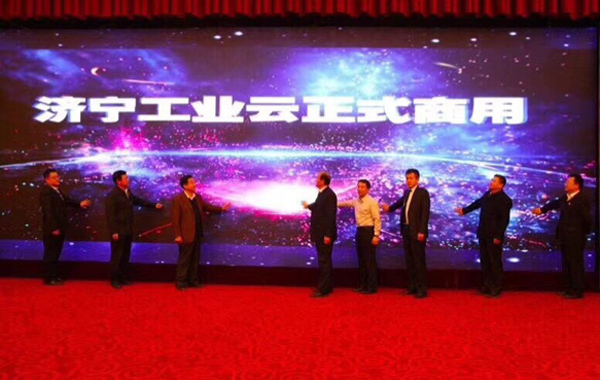 During the 13th Five-Year Plan period, Shandong Province actively implement the strategy of "Internet +", vigorously promote the Internet of Things technology, promote the R & D and manufacturing of common technologies and key products in the IoT industrial chain, and promote the in-depth integration of the Internet of Things (IoT) and industries such as agriculture, transportation and energy. 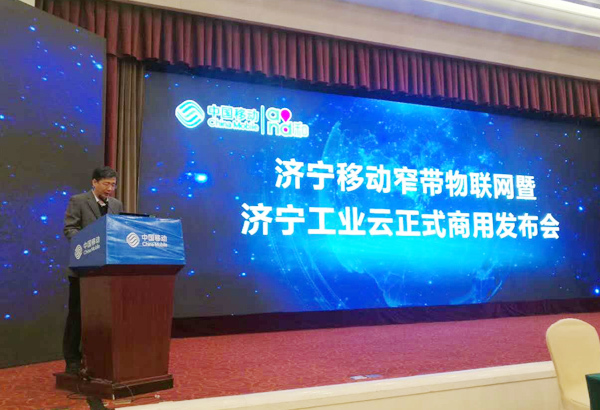 Manager Han said that this conference has provided a brand new scientific and technological concept for the development of enterprise informationization. China Transport will accelerate the development level of enterprise internet of things and big data, actively promote the industrialization of Internet of Things and promote the prosperity of the Internet of Things Development, and better contribute to the building of "wisdom Jining wisdom Shandong" !